PS Vita fans just don't know what to think about their handheld anymore with all of these strategy shifts. Is it a handheld device designed to let you bring the AAA experience on the go? Is it a portable indie game player? Is it the last bastion with the PlayStation branding for JRPGs? Is it a PlayStation 4 companion device? Sony has hyped all of these different categories as a possible outlet for the PS Vita, and yet all of them are coming up short. PlayStation UK managing director Fergal Gara had a chat with Eurogamer, and explained that while the Vita is never going to be a runaway success, it still has a certain market of people who know how to appreciate it. "It's trucking along. It's currently in year-on-year growth and enjoying a healthy year, and it's about to hit its biggest and potentially most powerful release of the year, which is Minecraft. 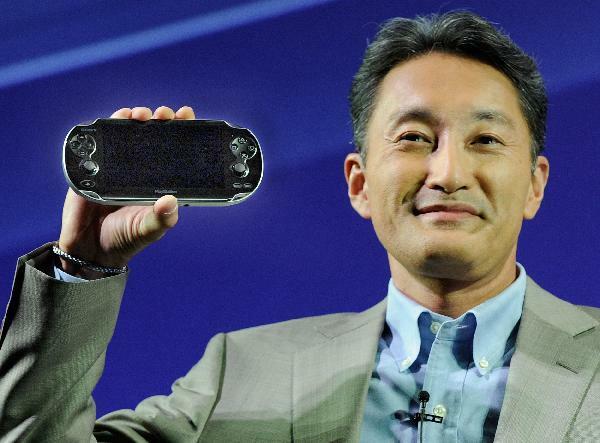 That could be an extraordinary release for Vita." Gara states that the Vita's main audience is with the PlayStation 4 crowd, but even then it's a niche audience who uses it for options beyond the mainstream. "We're seeing a bit of reflected glory from PS4. So there is a traction in remote play, and we see the numbers there. But it's more than that. It's just found its niche. It's not the biggest niche in the world, and we've been fairly open about talking about it entered a crowded landscape with many other devices providing some sort of handheld fulfillment. But for those who want that more specialist device and a more specialist experience, it does a damn good job, and therefore it trucks along quite nicely." So Minecraft and the PlayStation 4 connection are now the future of the PS Vita. When I purchased one, it was a portable indie game, retro game, and JRPG player, a transformation from its original failed vision of a mobile AAA gaming device. Again, who knows what to think anymore? All I know is that after a brief stint with Ys: Memories of Celceta and a few of my favorite PS1 Classics, I haven't touched it. What was once the latest piece of gaming hardware that was sure to catch on has been replaced by the tried and true Nintendo 3DS which plays indie games, retro games, more JRPGs, and even Nintendo's classic line-up of characters. Maybe it's the safety of knowing what I am getting into, but the PS Vita just doesn't make a lot of sense recently. How do you feel about yours? I still like it for the occasional classic, but in terms of actual original games, it's not looking too good.